Finally...a body pillow designed for expectant mothers of multiples! The Grow To Sleep was designed with a unique, elasticized center to provide flexible support for a growing belly, and there's less bulk so you stay cooler. The body hugging center and contoured ends provide maximum versatility and support. 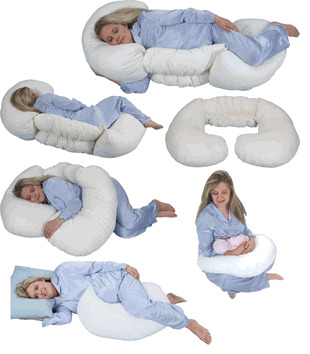 The contoured end pillows can be removed and used for targeted support. 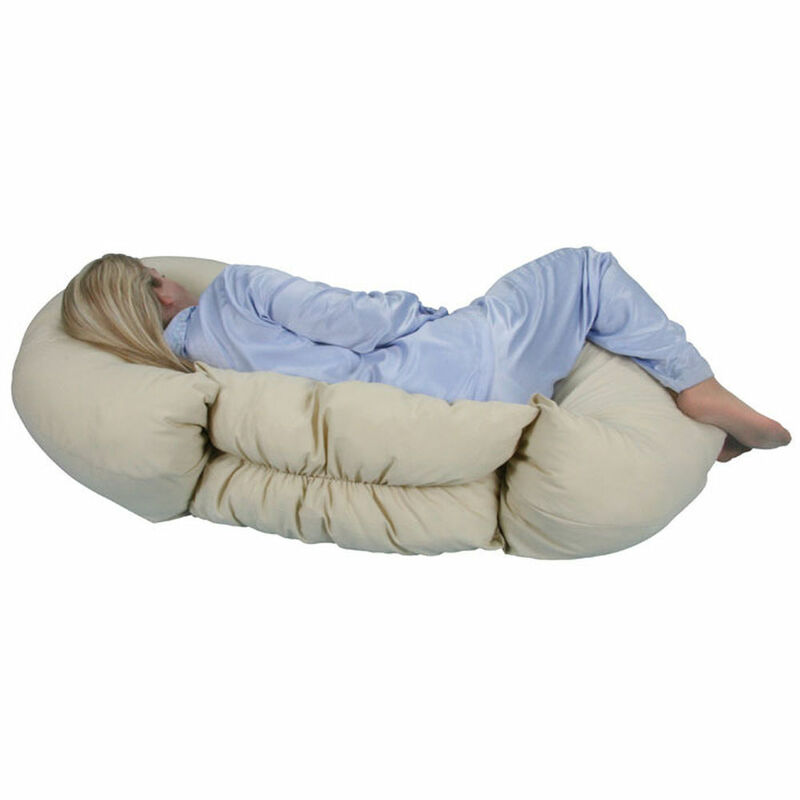 Fantastic for those on bedrest, or just wanting to get comfortable while relaxing or sleeping. This pillow is also great for post-surgery! • A generously sized body pillow specifically designed for the needs of an expecting mother of multiples through each trimester. • Elasticized center provides flexible support for your growing belly. • Removable ends provide versatile use for sleeping, nursing or resting; great for elevating and aligning hips for a good nights' rest. 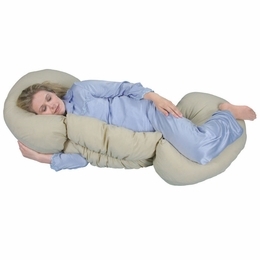 100% Polyester Liner, 100% Polyester Fiber Filled Pillow. Dimensions: 59.25" x 29" x 10.25" Weight: 6.01 lbs. THIS ITEM SHIPS SEPARATELY DIRECTLY FROM THE MANUFACTURER. WITHIN CONTINENTAL UNITED STATES ONLY.